Went back to Asahi for a quick lunch. As usual, you go on a weekend day, they have Happy Hour all day. 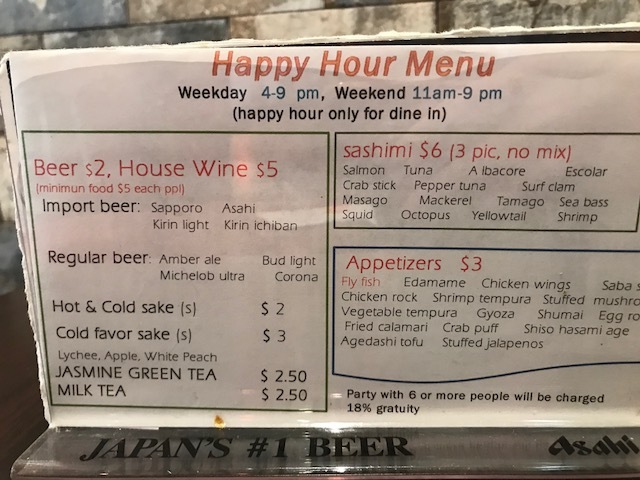 Great deal on their sashimi, not to mention how thick they cut it. 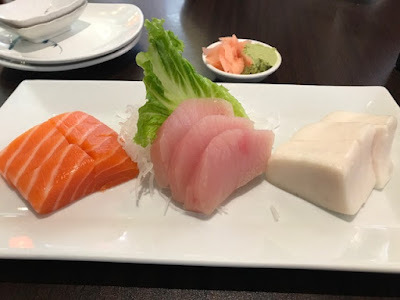 This round I got salmon, tuna, and yellowtail. 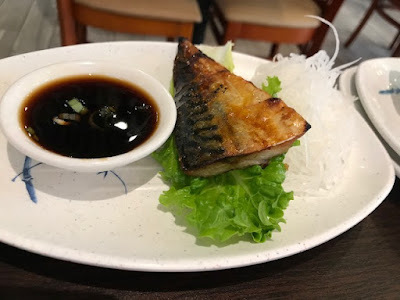 Tried the Shiso Saba, which is mackerel with salt. Pretty crispy. 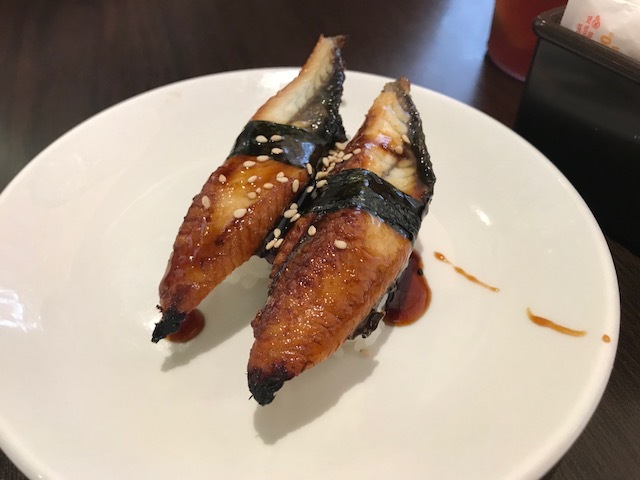 Can't resist, had to get the unagi sushi. Whole meal doesn't cost alot, but tons of decent food. This is what I call quick and cheap meal when you just want something fast and fresh. I like going to mom and pop shop and support them especially when they're doing a decent job.